Nick Strimple: Biography of the composer, conductor, scholar, author of the critically acclaimed book 'Choral Music in the Twentieth Century' and faculty member of the University of Southern California Thornton School of Music. 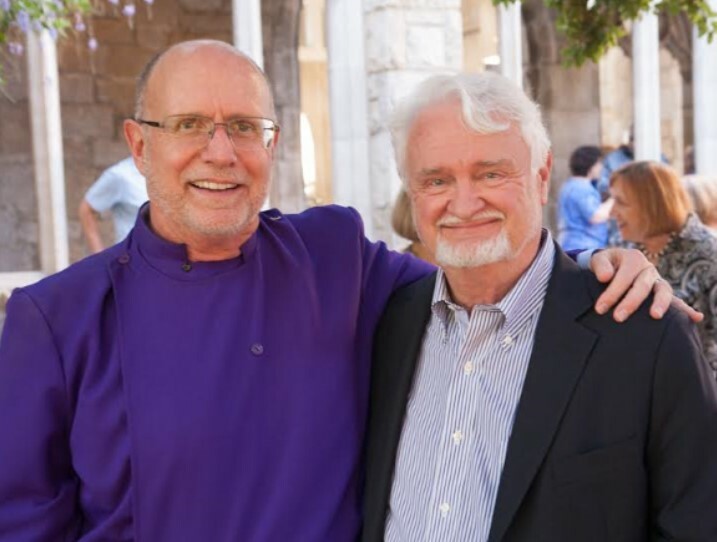 Nick Strimple, faculty member in the Thornton School of Music at the University of Southern California (USC) and Music Director of the Los Angeles Zimriyah Chorale, is a composer, conductor, scholar, and author who has had a long and versatile career. His interests include twentieth century music, Jewish music, the music of Dvořák and other Czech composers, the aesthetics of sacred music, and virtually all aspects of choral music. Born in 1946 in Amarillo, Texas, he was educated at Baylor University (BM in composition) and the University of Southern California (MM in sacred music – Outstanding Masters Candidate, 1973; DMA in choral music – Outstanding Doctoral Candidate, 1976). His principal teachers include Charles C. Hirt, Robert H. Young, and James H. Vail (choral conducting and sacred music); Halsey Stevens, Richard Willis, and Thomas Hohstadt (composition); Marcel Couraud, Daniel Sternberg, and Daniel Lewis (conducting); Martha Barkema and John Large (voice); Malcolm Hamilton, Roger Keyes, and Dale Roller (piano); and Elwyn Wienandt, Arend Koole, Arthur Ness, and Richard Wingell (musicology). At USC, Strimple teaches classes in Choral Literature and Sacred Music as well as Holocaust and the Creative Impulse (for undergraduate students), and Music and the Holocaust (for graduate students in Music and/or Communications). He is the author of two critically acclaimed books, Choral Music in the Twentieth Century (2002) and Choral Music in the Nineteenth Century (2008), and has contributed chapters to four others. His articles and reviews have appeared in American Choral Review, The Choral Journal, The Orel Foundation Online Journal, Journal of the Central Conference of American Rabbis, Music Library Notes, The Austrian History Yearbook, and other journals. 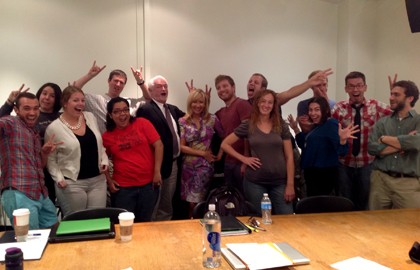 Nick Strimple's Choral Literature class at USC, with Suzi Digby OBE (Lady Eatwell), 25 September, 2012. Strimple is recognized internationally for his work with music related to the Holocaust. He has lectured on the subject at Cambridge University, Yale University, Oxford University, Wellesley College, University of Miami, University of Minnesota, Oregon Bach Festival, Simon Wiesenthal Center for Holocaust Studies, Spertus Institute for Jewish Studies, Krakow Jewish Culture Festival, and other distinguished institutions. He has presented lecture/concerts at national conventions of the American Musicological Society, the American Choral Directors Association, the Cantors Assembly, and other organizations. He has served as a consultant to several museums and Holocaust Memorials including the Los Angeles Museum of the Holocaust and Warsaw's Museum of the History of Polish Jews. During 2001-02, Strimple served on the California State Legislature Working Group for Holocaust, Genocide, and Human Rights Education (which resulted in legislation mandating the teaching of genocide awareness in California schools). He currently serves as Vice President of the David Nowakowsky Foundation, and sits on the Advisory Boards of the Young Musicians Foundation, the Jewish Music Commission of Los Angeles, the Santa Barbara Revels, the Los Angeles Yiddish Opera, the Aminadav Aloni Music Foundation, and San Diego's Summer Bands at the Beach. From 2003 through 2013 he served as Artistic Director of the annual Los Angeles Interfaith Symposium and Concert. Strimple has conducted some of the world's most prominent ensembles including the London Symphony Orchestra, the Orchestra and Chorus of the Polish National Opera, the Philharmonia Orchestra (London), the Slovak Radio Orchestra, London Voices, the Prague Radio Choir, the Ensemble Vocal d'Aquitaine (Bordeaux), the Ernst-Senff Choir (Berlin), the Berliner Dom Choir, the New York Oratorio Society, and the Hans Sachs Choir (Nuremberg). 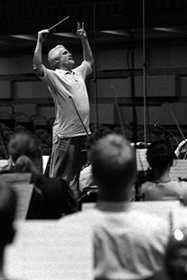 From 1984 to 2002 he served as a special projects consultant and guest conductor with the Nuremberg Symphony and, from 1988 to 2001, worked in a similar capacity with the Prague Symphony Orchestra. soloists in the Collegiate Church, Salzburg, 1982. His recordings of twentieth century choral music are released on the Naxos, Music & Arts, and 4-Tay labels. Strimple's choral ensembles have appeared at divisional and national ACDA conventions and at numerous European music festivals including the Prague Summer Festival, the Athens Festival, the Pažaislis International Music Festival (Kaunas, Lithuania), the Vilnius International Music Festival, the Prague Musica Iudaica Festival, and others. He has also prepared choruses for several renowned conductors including Zubin Mehta, Michael Tilson-Thomas, and Gerard Schwartz. 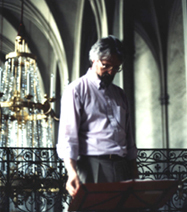 An established composer, Strimple has written concert and liturgical works and has received commissions from the Vienna International Organ Festival, the J. Paul Getty Museum, Diva Complex, Jorge Mester, London Youth Choir, and others. Several of his large works - including Sinfonia Breve, Pentecost, and the Christmas cantatas - have been recorded by the London Symphony Orchestra. He has also composed film and television scores and has served as arranger and/or director for Frank Sinatra, Rod Stewart, Air Supply, and other leading artists. From April 1978 through June 2013, Strimple served as Director of Music at Beverly Hills Presbyterian Church. He also served as Music Director for the Choral Society of Southern California from its founding in January 1982 through June 2013. Because both positions were part-time, early on he worked concurrently as a private investigator and a music store clerk before finding employment in the music industry as a composer/arranger and consultant in copyright infringement cases. In 1996 he returned to academia as a faculty member at the University of Southern California. During Strimple’s tenure at Beverly Hills Presbyterian Church, the church’s Chancel Choir performed with the Beverly Hills Symphony Orchestra, recorded (with the Choral Society of Southern California) a critically acclaimed CD of music by Amy Beach and Nick Strimple, and was featured in the first TV Special produced by the Fox Network: A Beverly Hills Christmas with Jimmy Stewart. This was an outgrowth of the vastly popular Christmas concerts at the church, which featured Mr. Stewart reading the Christmas story, a tradition which lasted thirty-one years and involved a variety of guest speakers after James Stewart’s death, including Delbert Mann, Richard Thomas, Christopher Norris, Debbie Reynolds, Cindy Crawford, Martin Sheen, Mel Gibson, and Larry King. The Chancel Choir was also featured in an annual series of Christmas CDs, produced by Michael Lloyd, which in five years raised over four million dollars for the Children’s Hospital Foundation. During Strimple’s tenure with the Choral Society of Southern California (CSSC), the Society became well known for its performances of American music and neglected masterworks by composers of other nationalities. In addition to presenting its own concert series in the Los Angeles area, the CSSC toured Europe ten times, performing in Germany, Austria, the Czech Republic, France, Greece, Great Britain, the Netherlands, and the Baltic countries. The Society’s first concert was with the Munich Philharmonic, which set a pattern of guest appearances with prominent orchestras, including the Los Angeles Philharmonic, the L.A. Jewish Symphony, and the Athens State Orchestra with whom, as part of the Athens Festival, it gave the Athens premiere of Haydn’s The Creation. Over the years CSSC was a frequent guest ensemble with the Nuremberg Symphony, and was one of the core ensembles (along with the Los Angeles Zimriyah Chorale) for the final events commemorating the City of Nuremberg’s 950th anniversary. It also appeared as a featured guest ensemble at the Vienna International Organ Festival (1990), the Aspach Festival (1995), the Prague Musical Summer (1990 and 1995), and the Prague Jewish Music Festival (2000). In 1991 CSSC represented the City of Los Angeles in a sister-city exchange with Bordeaux, France. In Bordeaux, demand for tickets to the CSSC’s performance of Mozart’s C minor Mass was so great that the concert was presented twice the same evening, to standing-room only audiences, and broadcast nationally over French Radio. CSSC also consistently met with critical and popular success. The Los Angeles Times once said that CSSC audiences could “lean back and revel in the full seamless choral singing.” Its CD of music by Judith Lang Zaimont was released in 2000 to rave reviews. Fanfare Magazine said, “The Choral Society is obviously a very fine choir.” It was also a featured ensemble on three CDs in the Milken Archive of Jewish Music in America series (Naxos), which garnered the Producer of the Year GRAMMY® Award for producer David Frost. Strimple has received grants from the Lifebridge Foundation, City of Los Angeles Cultural Affairs Department, Los Angeles Jewish Community Foundation, Cotsen Family Foundation, Roth Family Foundation, and others. Vienna International Organ Festival, 1990. Terry Edwards, Rod Gilfry and Nick Strimple take a break during London recording sessions for Strimple's "Mother and Child." with Nick Strimple and Eliška Kleinová, sister of Gideon Klein, prior to a concert at the Church of St Margaret at Břevnov Monastery in Prague, 1995. 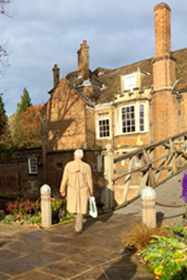 Nick Strimple walks to his Holocaust Lecture at Cambridge University (Queens' College), Cambridge, England, 29 October 2015. 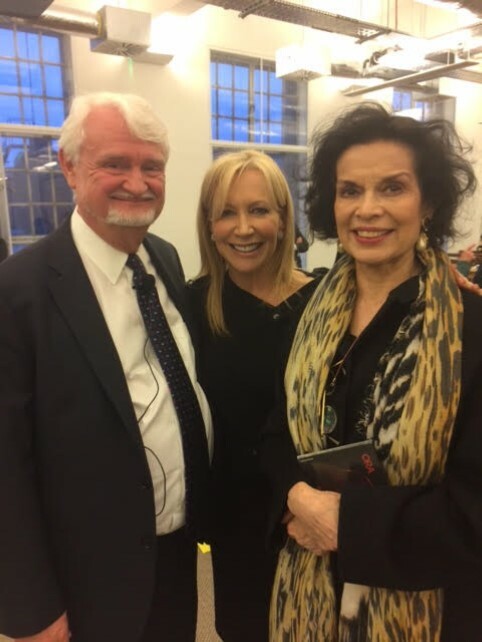 Nick Strimple, Suzi Digby (Lady Eatwell) OBE, and Bianca Jagger immediately following Strimple's Pureland Foundation Lecture Concert in London, 4 May 2017. Nick Strimple (r) with James Walker at All Saints Church, Pasadena, 25 May 2017.